Sadness descended over Lurgan in Co. Armagh on Sunday, July 21, 2013 as the news filtered out that legendary Belfast Celtic inside forward Jackie Denver had passed away. 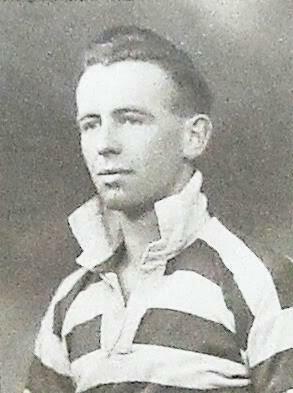 A stalwart of Elisha Scott's team in the late 1940's, Denver was an ever present in Scott's sides. He played in many of the most memorable games in the club's final days, including the 'Windsor Riot' game on December 27, 1948 and also toured the USA with Belfast Celtic in 1949. 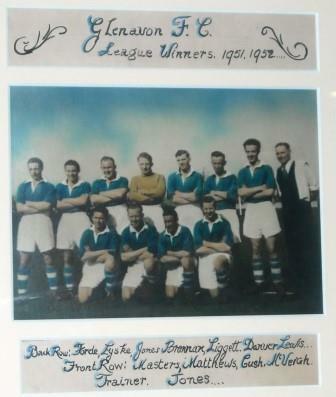 Transferred to Glenavon in his native Lurgan by Belfast Celtic on their demise, he went on to be a lynchpin at the Armagh club in the 1950's, helping them to league and cup triumphs under managers Jimmy McAlinden and Harry Walker - themselves legends of Belfast Celtic. 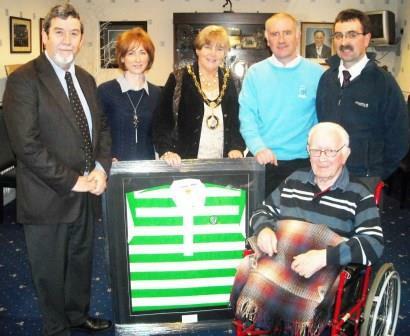 There, he was joined by another Belfast Celtic legend and close friend, the recuperated striker, Jimmy Jones. Alongside Irish International Wilbur Cush they helped bring the Gibson Cup beyond Belfast for the first time and also became the first provincial club to lift the 'Double'. "Celtic never thought about losing. When I was at Glenavon we had a good team, but we had to play the full match, all out, to win anything. At Celtic, it was always a case of how many you would win by!" "When I joined Belfast Celtic, it was like moving to another world. I was used to changing in sheds and going to a stadium like Celtic Park was like going to Highbury or Old Trafford." His recollections of the 1948 'Windsor Riot' game were vivid; " The tension at that game was unbearable and we took the lead when McCune took me down inside the area and Harry Walker scored the penalty kick. Then there was pandemonium when Billy Simpson equalised a couple of minutes later. "At the end, I saw the crowd running onto the field. George Hazlett, the inside right, was caught on the face with a fist. When I saw this, I made a run for it. Someone tried to hit me, so I kicked him. I got off the field - it was everybody for themselves." Belfast Celtic Society Chairman Padraig Coyle expressed his deep sadness on news of Denver's death, saying; "Irish football really has lost a legend and a gentleman. Jackie had battled so bravely against illness in recent years that some felt he would remain evergreen - but sadly this was not to be. Members of our society travelled to Lurgan a few years ago to mark his contribution at Belfast Celtic, along with Jimmy Jones and the banter between the two of them at Mourneview Park was fantastic.
" As part of the IFA's Football for All Programme Jackie also travelled to Windsor Park in 2010, where the Belfast Celtic story was retold. It was the first time representatives of the two clubs had met in 60 years in that ground." "His family has remained in contact with the Belfast Celtic Society and our entire committee and membership would like to pass our deepest condolences at this very sad time."